The Oakland Community Land Trust allowed Shekinah Samaya-Thomas and Christopher Thomas to buy an affordable home. If it wasn't for their home, Christopher Thomas and Shekinah Samaya-Thomas might never have gotten married. In fact, the couple might have been pressured to leave their jobs and families behind and move out of the East Bay to some more affordable place like the Central Valley. That they own their own home now is somewhat improbable. Chris and Shekinah both grew up in renter households — Shekinah in a trailer park in the Midwest, and Chris in apartments in West Oakland. They moved from place to place, and both of them, at several points in their lives, were homeless and forced to live with relatives. Chris works a full-time security job at the Eastmont Mall and sometimes sporting events at the Oakland Coliseum, and Shekinah works part-time in adult education. 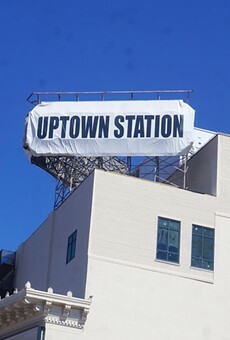 Like many longtime Oakland residents (Chris was born and raised in Oakland and Shekinah moved to the city in 1992), they don't make a lot of money. This didn't use to be an existential problem in the East Bay. Places like East Oakland were filled with affordable homes for the working-class. Rents were cheap. Oakland's affordability fostered its diverse demographics, creativity, and progressive politics. But over the past two decades, various forces — a shortage of new housing, severely lagging affordable housing construction, financial predation by banks and the real estate industry, and widening income inequality — have converged to make Oakland's housing market one of the most expensive in the nation. As a result, about five years ago Chris and Shekinah were feeling like they were on the verge of being squeezed out of the city they love. But they're still here. 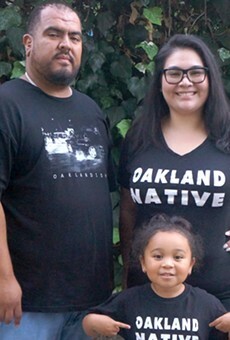 Instead of becoming casualties of gentrification and displacement, they're happily married and residing in a small bungalow house in the Melrose Park neighborhood of deep East Oakland. What made this possible is a landlord who approaches the question of ownership from a radically different philosophy that's opposed to the capitalist market. While they own the house the live in, Shekinah and Chris don't own the land underneath it. This highly unusual kind of right to property has provided Shekinah and Chris with an affordable place to live that has nearly all the benefits of a traditional mortgage and full ownership, but none of the downsides of trying to hold onto a home in a marketplace where land values can quadruple in a decade, or plummet just as much in a market crash. 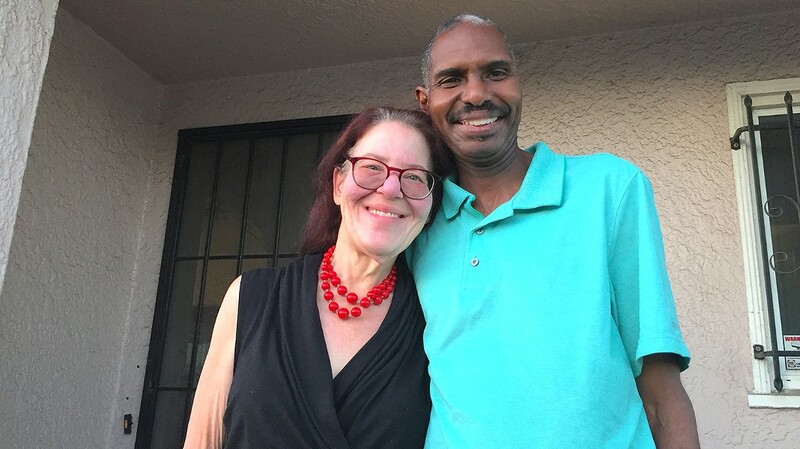 The couple lives in one of 17 single-family homes that's been taken out of the speculative housing market and placed under the stewardship of the Oakland Community Land Trust. "Our culture is so focused on real estate as a capital investment, as speculation, that we've forgotten that housing is an essential right," said Shekinah in a recent interview at the couple's home. 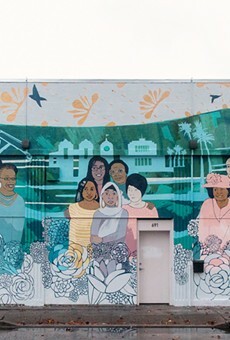 The Oakland Community Land Trust was established in 2009 with the mission of creating stability and affordability in neighborhoods hit hard by the foreclosure crisis. 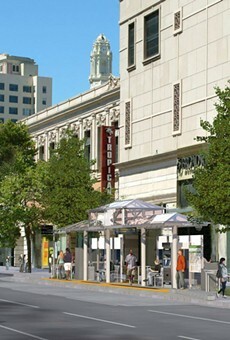 Like other community land trusts, Oakland's is a nonprofit organization. It acquires legal title to land for its use value, not its exchange value. The goal of the land trust is to hold property in perpetuity, thereby protecting people who live on the land from the market's dizzying peaks and violent crashes. The land trust also removes property from the monopoly-like game of speculation played by landlords and house flippers who are constantly trying to find ways to increase values and squeeze profits out of renters and buyers. "This model is grounded in social justice," said Shekinah. Under the terms of the 99-year lease they have with the land trust, Shekinah and Chris can sell the house back to the land trust at any time, or to another low-income buyer. But unlike other homeowners, they'll never make a windfall profit. That's because that form of value is really in the land, not the building. In fact, the building depreciates over time and any capital gain on the house isn't set by the market; it's set by a formula written into the terms of their 99-year lease that just about keeps pace with inflation. "We can sell for a moderate gain," said Shekinah, "but it's not housing as an investment." The Oakland Community Land Trust acquired many of its properties in the aftermath of the foreclosure crisis. It was a unique moment because the crash lowered prices to historic lows, allowing a land trust to scoop up lots of properties at once. Shekinah and Chris' house has a history that encapsulates the broader story of the financial crisis. Owned by the same family since 1960, it was the residence of an elderly, low-income widow by the early 2000s. According to public records, she fell behind on mortgage payments and was twice nearly foreclosed on by Chase Manhattan Bank. An adjustable rate rider loan she took out in 2002 had a maximum interest rate of 14.5 percent, illustrative of the easy money that flowed from the banks during the subprime housing boom. By 2010 the home was empty, abandoned, and legally the property of the government-backed mortgage company Fannie Mae. It's not clear what happened to the former owner. The structure sat empty for several years before the land trust identified it and was able to purchase the house. According to Steve King, the executive director of the Oakland Community Land Trust, the original goal was to purchase about 200 homes across Oakland and protect them from the housing market's wild swings. But in the aftermath of the financial crisis, speculators swooped in with cash to buy up many of Oakland's foreclosures. Within a few years the housing market, predictably, rebounded and then surpassed values seen in the mid-2000s, earning some investors hundreds of millions from Oakland's housing market as they harvested higher rents and re-sold properties at double, triple, and often higher the value than they originally bought them for. King said his group is still pressing ahead with acquisitions and slowly building a portfolio of homes and now even commercial properties. The Bay Area Community Land Trust has pursued a slightly different strategy since it was founded in 2006, said Rick Lewis, the group's executive director. 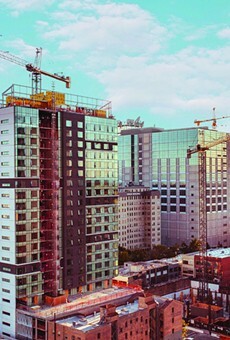 Focused on acquiring larger rental housing properties, the Bay Area Community Land Trust works with nonprofit co-ops to create long-term affordable housing. The structure of ownership and financing can be quite complex, but the underlying concept is that the Bay Area Community Land Trust owns the land while the co-ops own the buildings. Members of the co-ops pay rents to the co-op corporation, and the co-op leases the land from the trust. But again, because the land has been removed from the speculative market and is owned by a trust that isn't out to make a windfall profit on rising land values, the affordability is preserved in perpetuity. Lewis said the concept goes back to indigenous cultures around the world that don't believe any single person can own land, and that humans are stewards of the earth. The community land trust model also takes inspiration from Henry George, a political economist born in Philadelphia who became a newspaper editor and publisher in San Francisco. In San Francisco and Oakland, George witnessed a raw land grab that sickened him and led to his epiphany that land values should not benefit single individuals who claim ownership of real estate. In his highly influential 1879 book Progress and Poverty, George identified increases in land value as the result of collective social activity, not the work of any single landlord. Only buildings atop the land could be owned and made more valuable by a landlord. As a result, George proposed taxing all increases in land values by 100 percent to pay for government, which would eliminate poverty. But the most recent roots of the Community Land Trust model are in the Civil Rights Movement. Black communities in the Deep South realized their movement was constantly being set back as white people used their power to evict them from their farms and homes. Movement organizers believed that Black people needed to control land in order to break the back of white supremacy. To do this, several land trusts were established. They bought up hundreds of acres and built small villages that attempted to create desegregated societies on a small scale. While these early land trusts ultimately didn't survive, the model of stewarding land instead of owning it has. The East Bay Community Land Trust only has three properties, all in Berkeley, but Lewis said they're closing to purchase a fourth building in East Oakland. The building's residents are currently fundraising to prevent the house from being sold on the open market where it will fetch a price guaranteeing that it will never be affordable again. Lewis said he's seeing increased interest in the community land trust model. "I get calls from people every week, 'Will you help us buy our property?' But the question really is, where does the money come from?" said Lewis. Lack of access to large pools of capital to buy real estate is one of the main things holding back land trusts, said Lewis. Shekinah and Chris agree. "Part of what we need is people who have resources or own buildings, but who want to maintain affordability for tenants," said Shekinah. "They can still obtain a reasonable profit by selling it to the land trust, just not an outrageous profit." For Chris, the importance of the land trust is centrally about people, not land. 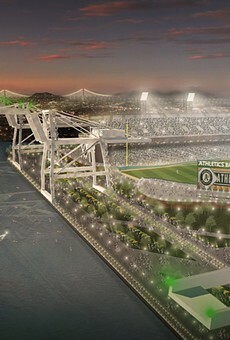 "The past 10 to 12 years, this is not the Oakland I grew up in," he said. "It doesn't have the same feel. There used to be a feeling of real community, but it's slowly depleting, and many of our bonds have been broken."